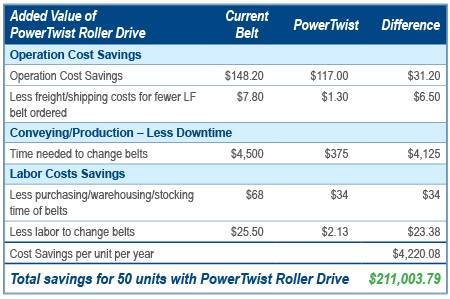 Current belts required replacing every four months due to wear and fatigue. Excessive time in replacement tearing down the conveyor system to replace belts, causing 30 minutes of expensive downtime. Belt life has increased to 2 years. The combination of high strength and low elongation under load resulted in increased V-belt longevity and durability. 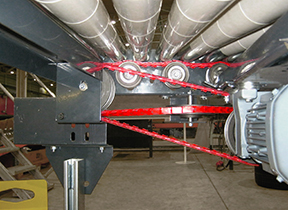 Easier installation without dismantling idler pulley systems. Belt replacement time was cut in half to 15 minutes.